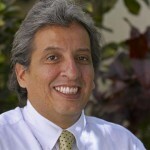 Manuel Pulgar-Vidal is Minister of State for Environment in Peru and a lawyer specializing in environmental law and policy. Former positions have included Executive Director, Peruvian Society for Environmental Law; President, Inter-American Association for Environmental Defense; President, Permanent Seminar on Agricultural Research; Director, National Fund for Natural Areas Protected by the State, PROFONANPE; and Alliance Director, Tropical Andes. Manuel teaches environmental law, natural resources management and mining, energy and environment, and is Programme Coordinator at Pontifical Catholic University of Peru.